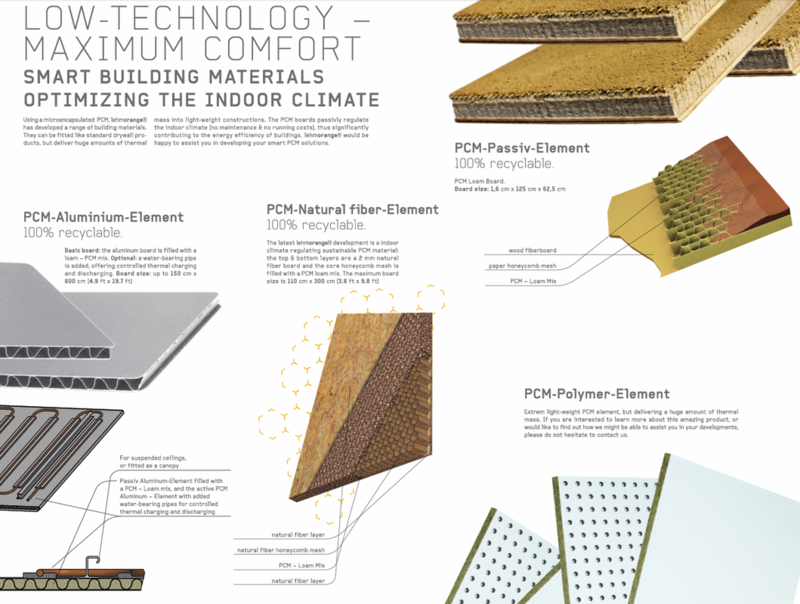 Now we can supply an even wider choice of very different PCM elements to offer the best possible solution. For a brief overview please have a look here. 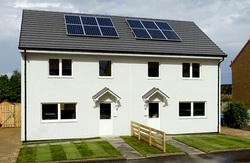 In 2012, using the Beattie Passive Build System, the Fife Housing Association had four 3-bedroom homes (86m² each) build to Passive House & CSH Level 5 standard in Dunfermline/Scotland. The Mechanical Ventilation Heat Recovery (MVHR) unit was supplied by Total Home Environment and the performance monitored for over a year. 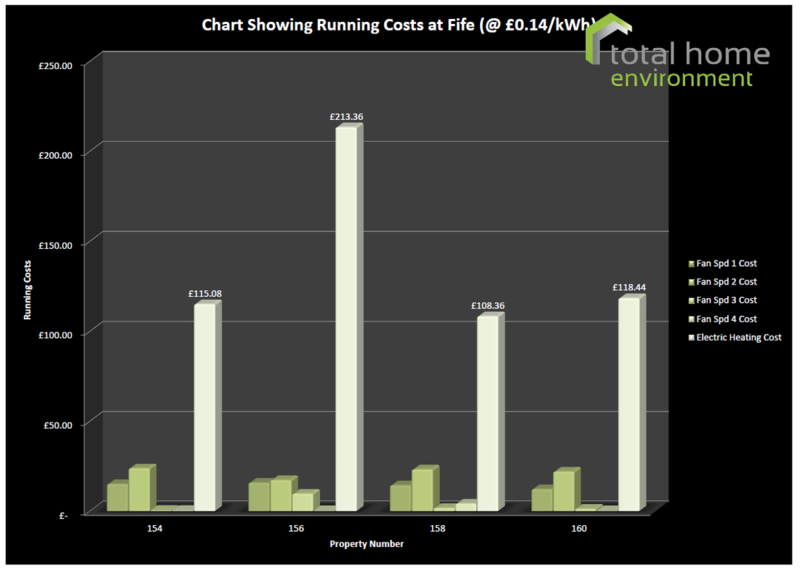 For 3 of the homes the total annual costs for ventilation & heating with a 1250W duct heater was ca. £150.00 and ca.£250.00 for the 4th. But the small 1.5kWp PV installation on each home generated around 1100kWh over the year, so for 3 homes the heating bill was zero and the 4th only had to pay the remainder. The Fife Housing Association's aim to eliminate fuel poverty has been achieved for the building work sub-total cost of £840.00/m2, which comes to just over £72,000.00 for each home. "One Church Square" is the Dolphin Square Foundation's first realized new build project. The development of high quality affordable rental homes is intended for people who live and work in Westminster. Designed by Paul Davis + Partners the building generates its heating and hot water from a CHP unit, is super insulated and very airtight, offers mechanical ventilation with heat recovery (MVHR) and produces electricity with PV elements on the 5th floor roof. The building has a beautiful brick facade, but no solid brick or block walls. "One Church Square" is actually a light-weight construction, lacking the thermal mass which is needed to help modify the daily internal temperature swings. Room by room thermal modelling identified the areas with a high risk of overheating. 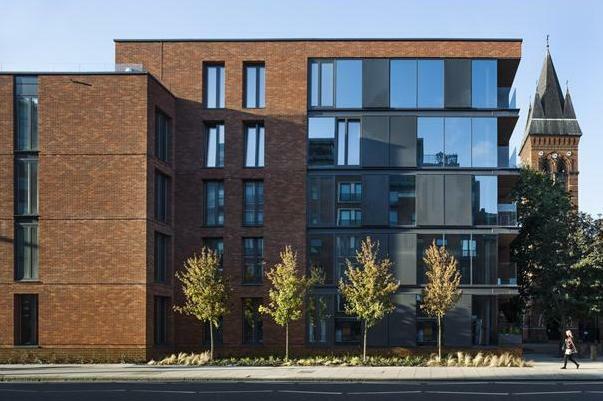 A combination of solar control glass, external shading fins, an increased MVHR ventilation rate and the installation of 1800 m2 of ebb's 16mm PCM Clay Board are reducing that risk significantly. 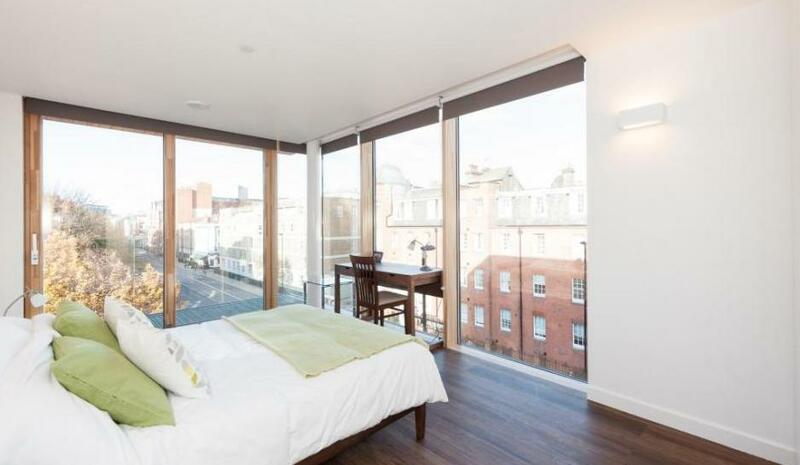 Without opening the windows to the busy road, the rooms will feel fresh & comfortable all year round. Can you spot the PCM ? Yes, again it is about the Somerset House East Wing retrofit project. This time because "Building4Change", the BRE's online knowledge hub, is featuring this ambitious project as its latest case study. Some information can be found in the previous postings, but in Jo Moulds' report Tim Leach, director and head of heritage & culture at BDP Architects, and Steven Shepherd, managing director of Climaveneta UK Group, talk about the challenges and the solutions they found. Good for the project (and for us) is that, as summarized in the final "learning points" the conclusion is: PCMs work. 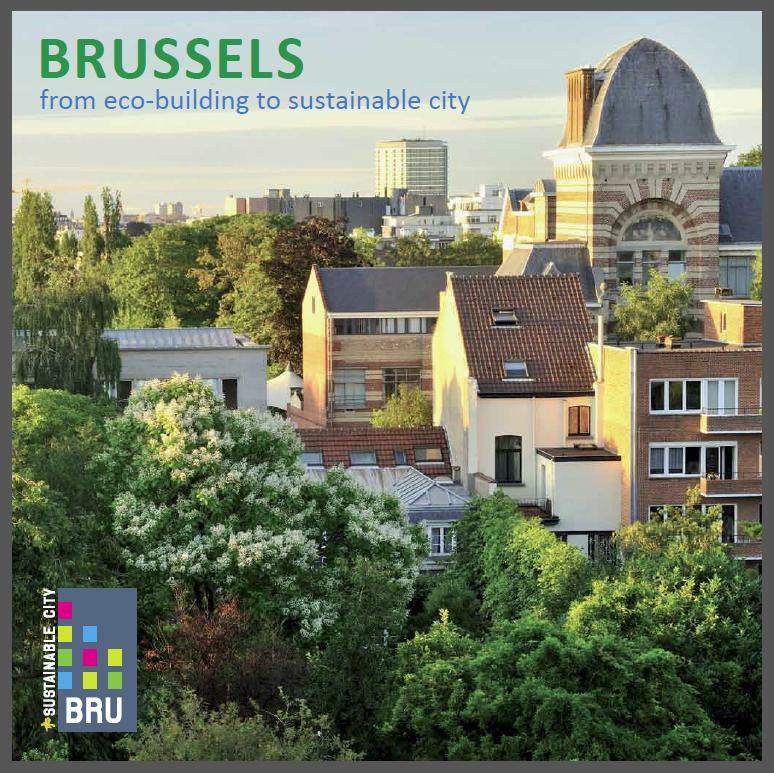 To get the construction of low-energy buildings going and to begin the transformation of Brussels into a sustainable city, a "Call for Proposals for Exemplary Buildings" was initiated. Within 3 years 117 buildings with more than 265,000 m2 have been build. 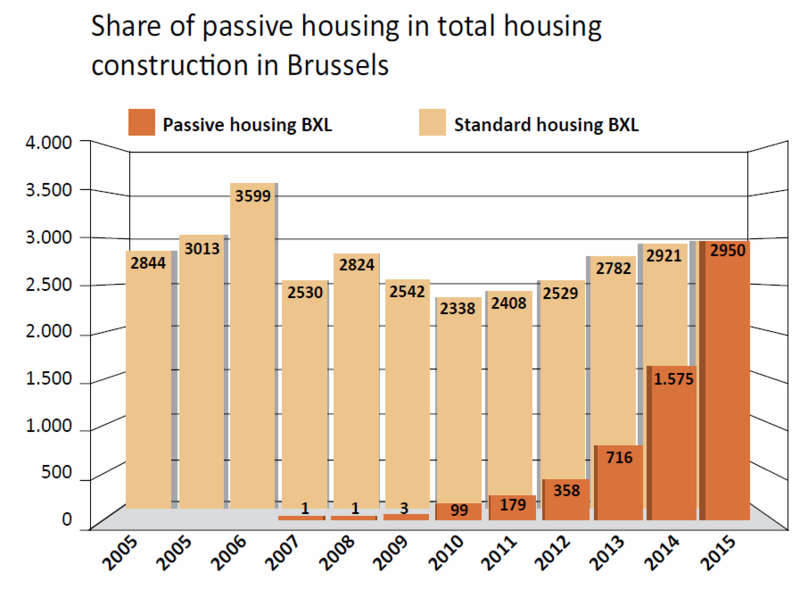 The objective is to give a clear signal to developers, architects and design firms NOW, because from 1st January 2015 only building permits for "Passivhaus" dwellings will be granted. "Building the World of Tomorrow"
The two images are actually not matching the above headline that well, as both are temporary "buildings" and the bottom image is very much about the past. 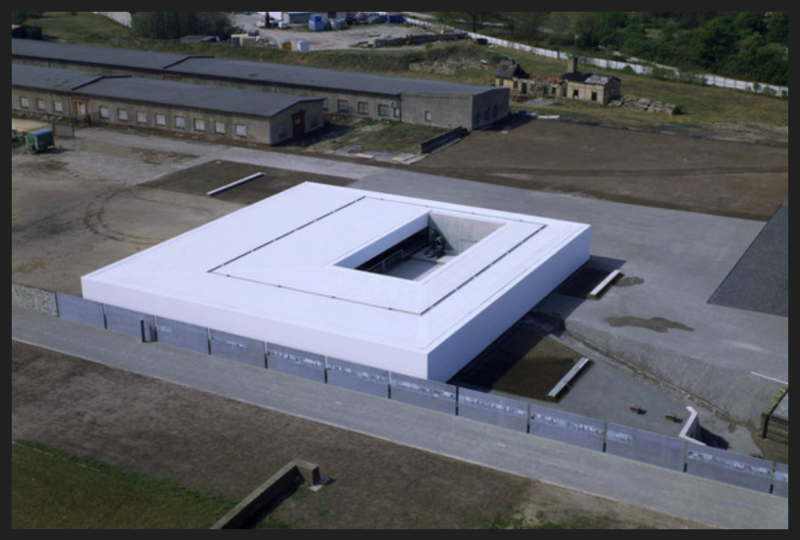 But both are very good examples of Werner Sobek's work. He is architect, engineer & researcher. Sobek and his team are pushing the boundaries of design, construction and materials a long way into the future and are so "building the world of tomorrow" today. The work of Werner Sobek is defined by premium design on the basis of high-class engineering combined with sophisticated green technologies. They work on all types of buildings and materials. 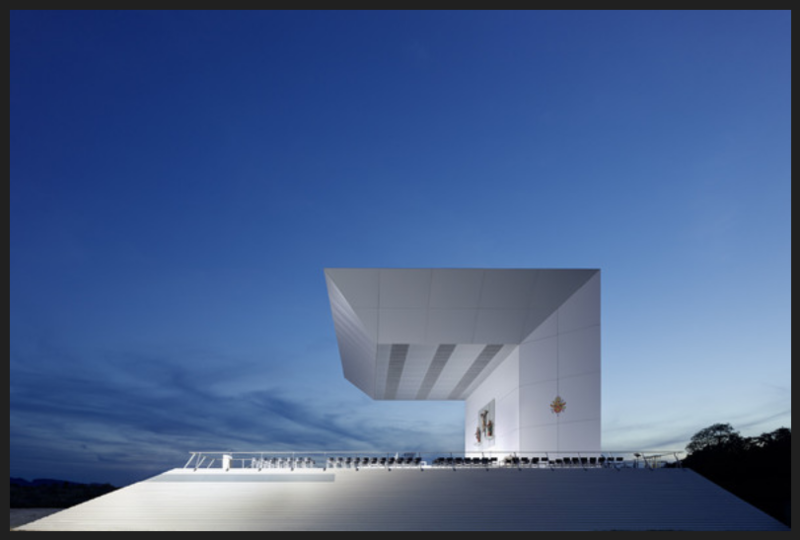 Special emphasis lies on lightweight structural design, transparent facade systems, and sustainable building concepts. Everybody who is interested in architecture, engineering, research, materials, sustainability, energy, lateral thinking, aesthetics and some more, and has 70 minutes time, should watch his lecture at the Illinois Institute of Technology he gave earlier this year. You can watch it all, but Werner Sobek begins after 11 minutes and 30 seconds. Enjoy. This month's issue of the Royal Institution of Chartered Surveyors' "Modus" magazine is focusing on construction materials. 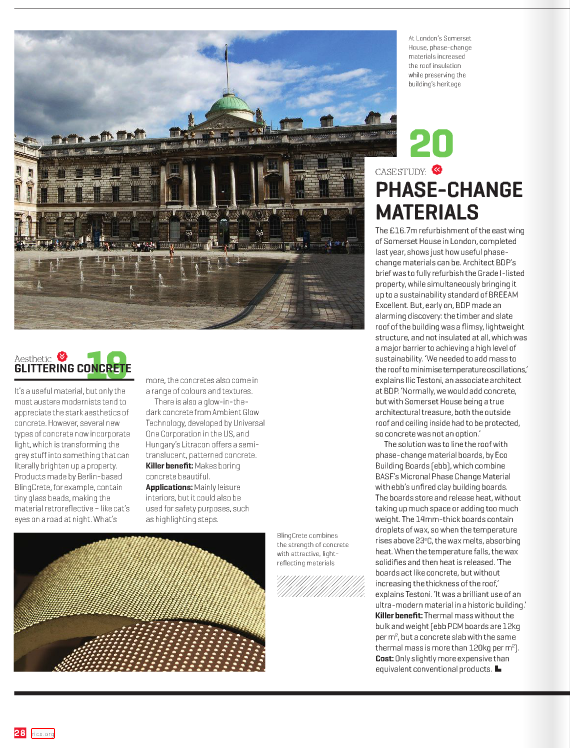 On page 28 the featured case study describes why ebb's PCM board have been used in the Somerset House East Wing retrofit project. Two years ago ca.1000m2 of ebb's PCM clay board were fitted in the 3rd floor of the SHEW retrofit project. 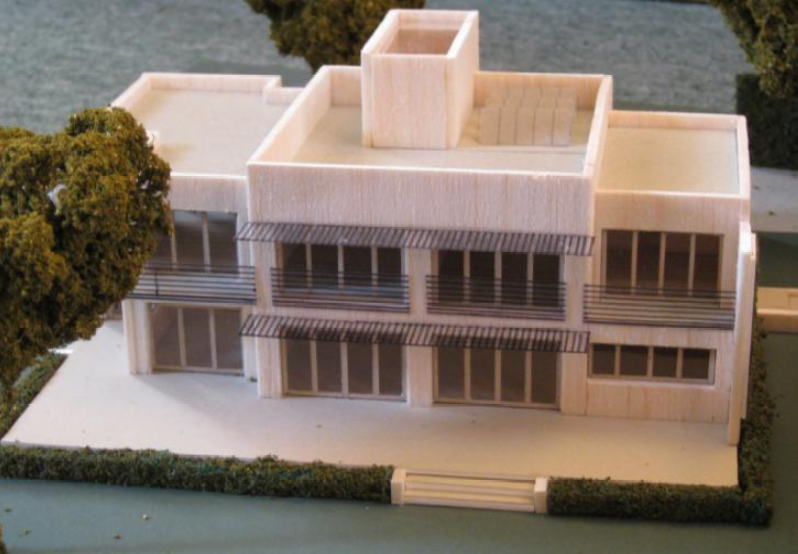 Building performance modelling had shown that the lack of thermal mass would lead to overheating in the summer. In combination with wood fiber thermal insulation and good night purge ventilation, the temperature control strategy has been successful. As the operational energy efficiency of buildings is improved, the relative importance of the embodied carbon impacts of buildings is increasing. Low-carbon solutions, like ebb's unfired clay materials, are becoming an integral part of building designs. 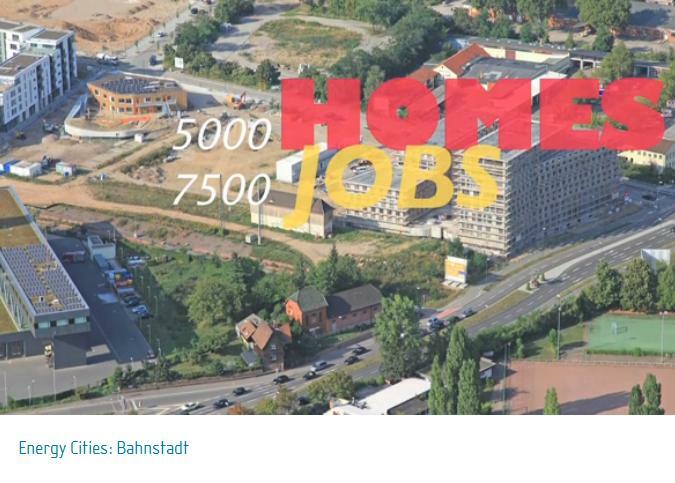 The 10 minute video explains about the why, who, how and a bit more regarding Heidelberg's development, but, of course, it does not answer the question: Why not develop London like this ? Not a tale of two cities, but an interesting comparison still. Both are in need of new residential and non-residential developments, both are members of the global C40 Cities Climate Leadership Group, but the big difference is: one is a regional city with a population of 149.000 and the largest Passiv House development in the world and the other is a metropolis with a population of 8.174 million and no development even close to "Bahnstadt". Proportionally London's development would need to have the size of 272.000 units. Just let Boris Johnson know. PricewaterhouseCoopers (PwC) have just published their annual "Low Carbon Economy Index". The report evaluates the rate of decarbonisation of the global economy that is needed to limit warming to 2°C. It shows that global carbon intensity decreased between 2000 and 2011 by around 0.8% a year. In 2011, carbon intensity decreased by just 0.7%. The global economy now needs to cut carbon intensity by 5.1% every year from now to 2050 to achieve this carbon budget. Keeping to the 2°C carbon budget will require unprecedented and sustained reductions over four decades. PwC's assessment is that Governments’ ambitions to limit warming to 2°C appear highly unrealistic and that up to 6°C seems to be more likely. 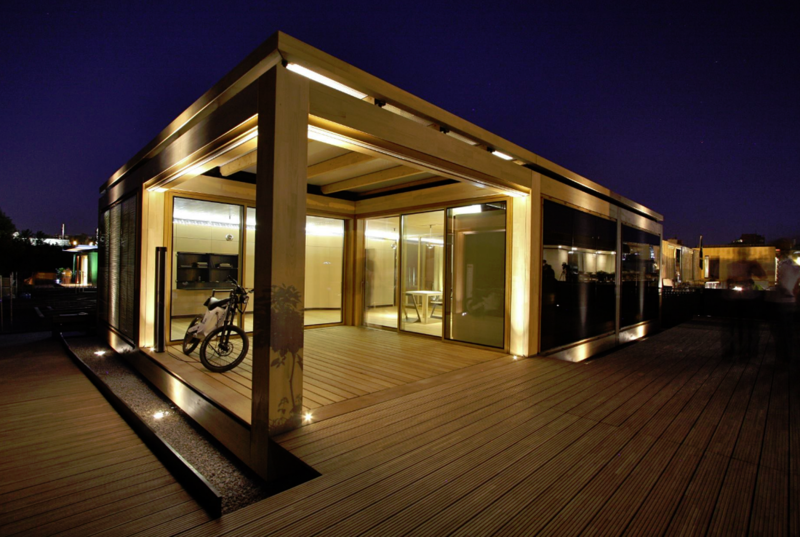 During this year's Solar Decathlon Europe in Madrid the "new" 16mm ebb PCM clay board was shown at the German "ecolar" house build by a student team of the HTWG Konstanz, University of Applied Sciences. The ebb PCM board was part of a very efficient low-energy temperature control strategy. 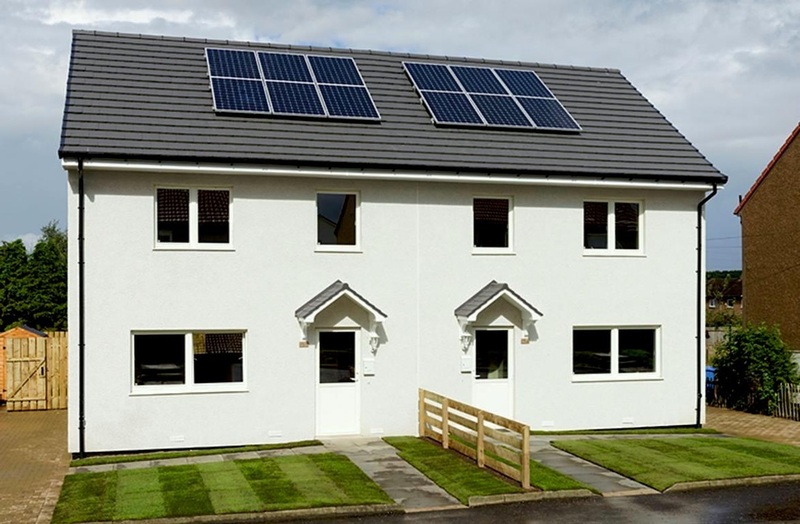 Two pairs of 3 bedroom semi-detached affordable Passive Houses have been build in Dunfermline and have reached the Government's new Gold Standard too. 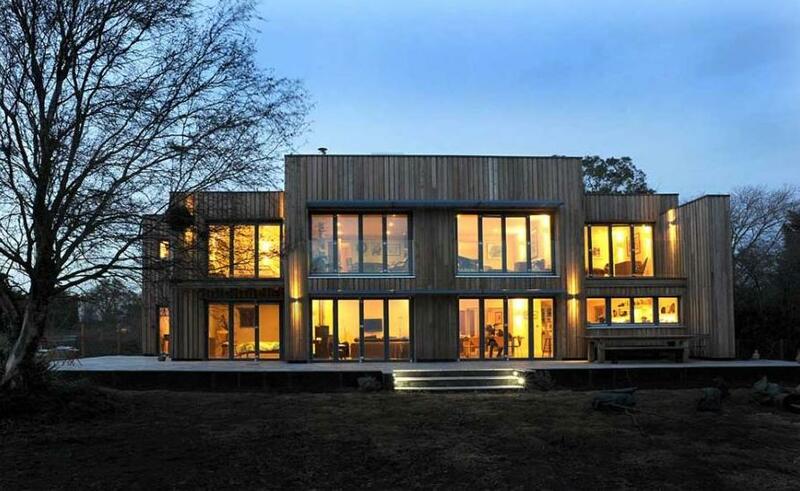 The Beattie Passive system is setting new standards in build quality and environmental rewards. 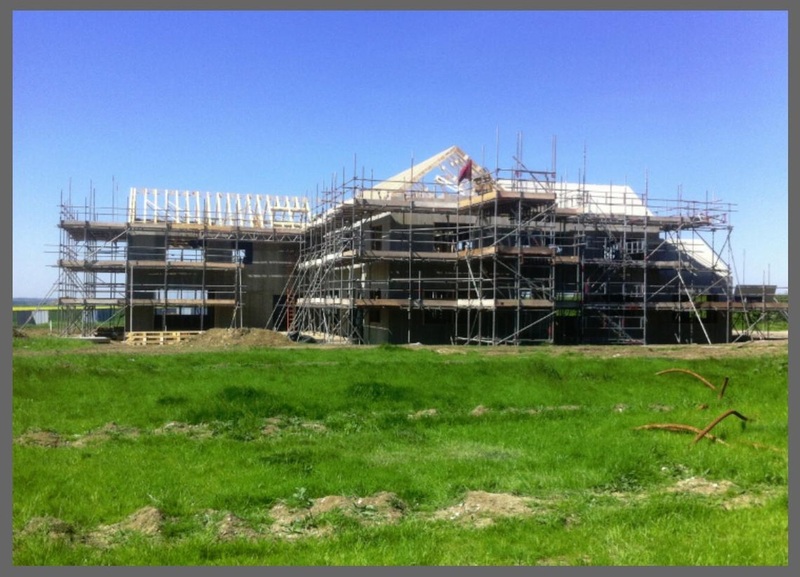 This large bespoke farmhouse in rural Cambridgeshire provides an outstanding exemplar property which will be 120% energy efficient. 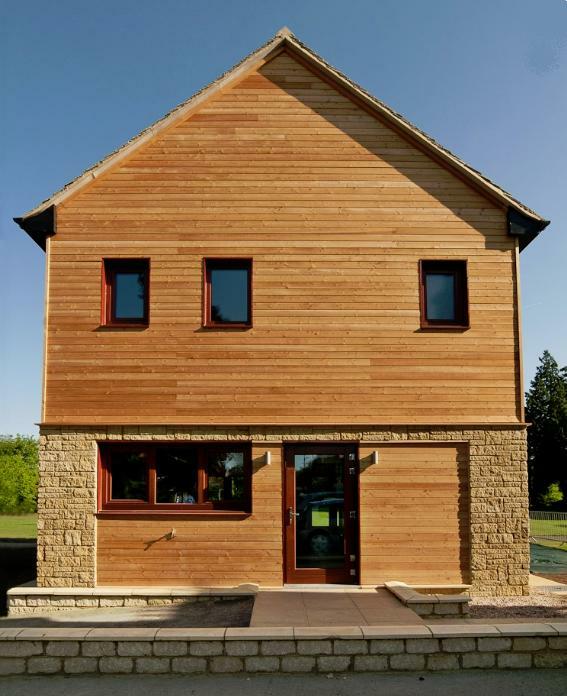 Eco Building Boards' unfired clay materials will be fitted in order to introduce additional thermal mass into the lightweight timber structure in order to reduce the risk of summer overheating. A further reason for the use of clay boards is the high acoustic insulation value these very dense lining materials offer. 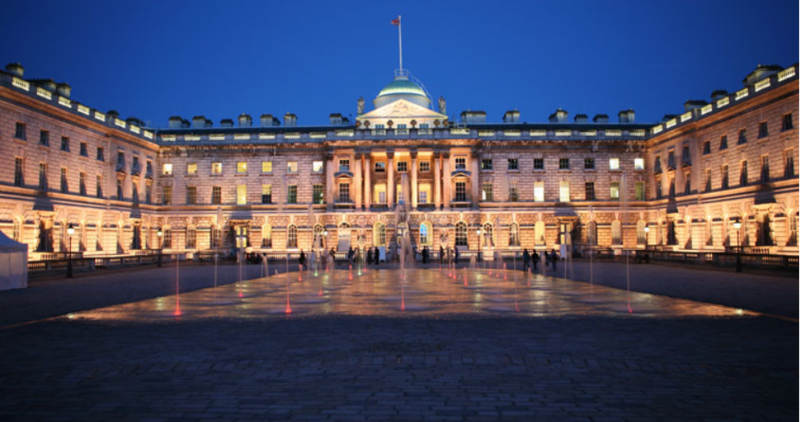 Her Majesty The Queen has officially opened Somerset House East Wing, the new front door to King’s College London. King’s has breathed new life into the building which will be restored to its original status as a landmark London public building, refurbished to the highest standards with its architectural harmony enhanced and public access improved. For three days Eco Building Boards was able to present some of its products as a guest at BASF's stand during Ecobuild 2012. 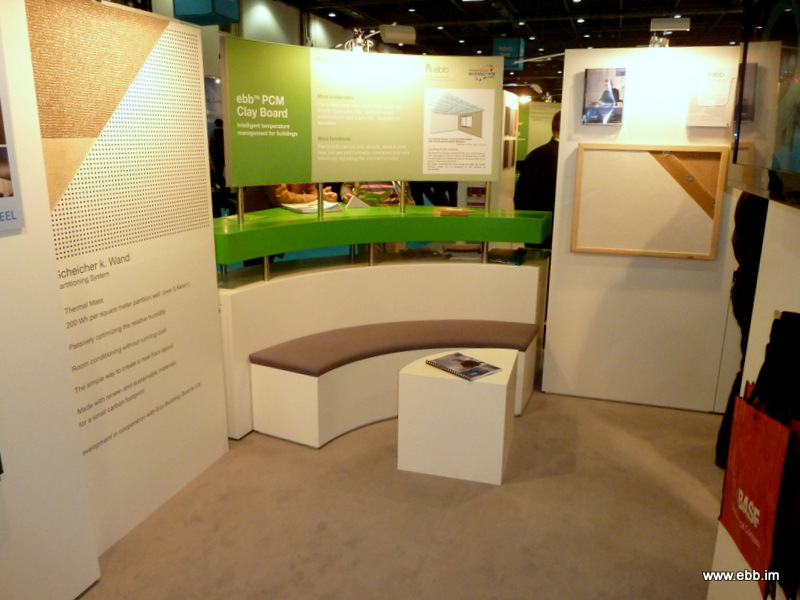 For a number of years ebb has successfully used BASF's micro encapsulated Phase Change Material "Micronal" in some of its function boards (http://www.ecobuildproductsearch.co.uk/intelligent-temperature-management-for-buildings-news016312.html). At its design stage, the Passive House Planning Package (PHPP) modeling of the Demonstrator Building for the NW Bicester eco town development showed the risk of some summer overheating. In order to reduce this risk (by increasing the active thermal mass) ebb's 22mm standard clay board was fitted on the ground and first floor ceilings. All new developments need to be designed & build so they can cope with the potential effects of global warming and the risk of overheating in summer. The new environmentally-friendly eco towns – low-energy, zero carbon developments built from recycled materials – are intended to be largely car-free to enhance and encourage pedestrian and cycle-friendly environments.